The Ultra X Sum­mit is the high­light and biggest nation­al event in our cal­en­dar. The event spans just 24 hours and in 2019 is to be based at Her­riard Park, Hamp­shire, just a 40 minute train jour­ney from Lon­don, on the 27th and 28th July. Everything we do is about exper­i­ence and access­ib­il­ity which is why we’ve designed the Sum­mit to be just this. As easy as pos­sible to get to and as afford­able as we can make it. Tick­ets cost just £45. 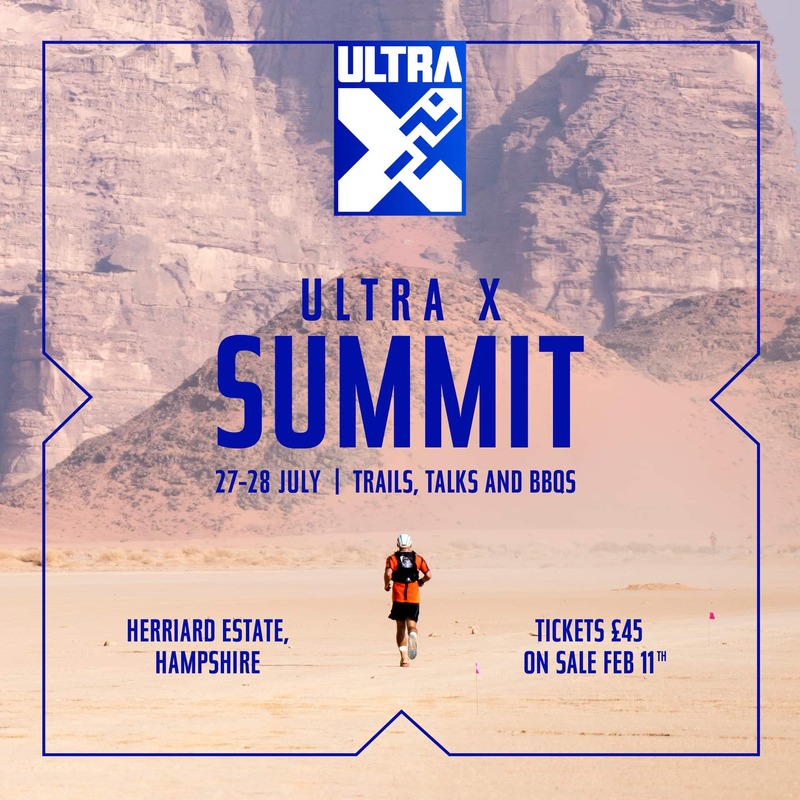 Grab your run­ning bud­dies and head down on Sat­urday morn­ing with your tent and sleep­ing bag (it will be the warmest time of year) to hit the trails, hear from legendary speak­ers, inside and out­side the industry, and enjoy one hell of a BBQ with Ultra X’s very own brew. The sum­mit is designed to cel­eb­rate the achieve­ments of our com­munity through­out 2019 as well as offer­ing a chance to launch our upcom­ing race sea­sons. The week­end is an oppor­tun­ity to spend time with like-minded people, and we’re not just run­ners; we’re brand build­ers, adven­tur­ers, pro­fes­sion­als and much more. But most of all we are doers and we love to travel. Our speak­er line-up will reflect this. With bespoke sum­mit stash and spe­cial announce­ments, this is the pin­nacle of the club’s year. Also, we love to shake it up and if it hasn’t been done before we’ll usu­ally give it a whirl. 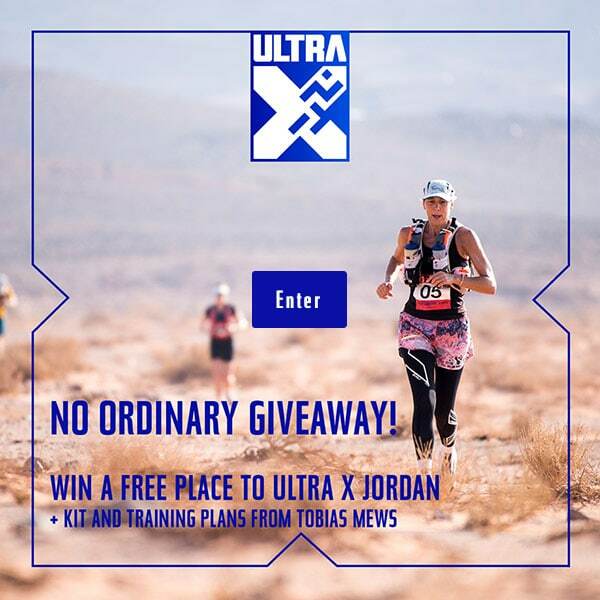 As such, pre­pare your­self for a ser­i­ous raffle and the chance to win free entry into Ultra X races for life. HA! And there’s more, that per­son will be able to take 2 friends at half price to every and any race they wish. Oh, and if you can win our beer mile com­pet­i­tion you could very well find your­self leav­ing with £2,000 cold hard cash. 1100: Arrive and set-up your tent (unless you’re sleep­ing wild which we love). 1200: Option of a led 10 or 20km trail run. 1430: The bar is open so find your­self a hay bale, get com­fy and pre­pare for some 20 minute chats from vari­ous lead­ers in their fields. We’re going for short snappy TED style. Trust us this is not to be missed. 1600: Drink up, it’s beer mile time. Get into your teams of 4 to race it out for £1,000 in cash delivered then and there at the fin­ish line cour­tesy of the Ultra X beer mile fund. The win­ning team will have the oppor­tun­ity to double or noth­ing their win with a second run. 1800: The even­ing is yours legends, relax at the bar, on the grass and enjoy yourselves. 0900: As is all part of #theul­traX­per­i­ence the two co-founders will deliv­er tea or cof­fee to your tent and an enorm­ous bowl of por­ridge with fresh fruit will be avail­able to pick up from the centre of the field. 1030: Sunday morn­ing shake out on the trails. Choose from 6 or 12 km. 1200: It’s raffle win­ner announce­ment time. The win­ning legend will have their multistage set-up sor­ted for the rest of their days. 1300: Pack up and roll on out. 1500: If you haven’t left by now you’ll be giv­en the boot. Fol­low the link below and don’t miss out on what is all set to be an epic 24 hours of ultra run­ning cel­eb­ra­tions.